Are you looking forward to improve your English Grammar and Vocabulary skills? 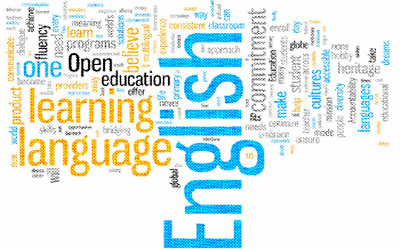 There are many ways to lear and improve your English , such as to hire a teacher, to go to school, to take an online course, and so on.For those people who dont have much time and cant afford money for courses can learn English online for free. You just need a computer with internet access, then visit some English learning websites and teach yourself without paying any money. Among those websites, below five are certainly worthy of your attention.While most of them are for students who already have a basic understanding of English, a few do include videos, podcasts and audio that are helpful for beginners. LiveMocha is one of the most full-featured language learning sites on the web. The main advantage of Livemocha is its wide selection of languages. LiveMocha uses a reputation system to encourage its users to submit flashcards and other teaching content, contact one another in order to practice speaking, and correct one anotherâs assignments. In Livemocha, to get the best out of the system without paying, you have to contribute by providing corrections of text/audio in your native language given by others. Â You might need to do this for quite a bit before earning enough points to open up a new aspect of your courses etc. BabbelâsÂ is much similar to that of LiveMocha. The Babbel vocabulary covers more than 3000 words with example sentences for practical application plus a further 1000 useful sentences for specific everyday situations. Like LiveMocha, Babbel also offers a chat but rather than being one-on-one, Babbel offers five different chat rooms in the languages it teaches. Â In addition, Babbel hosts its own forum for users to interact and help each other learn. At busuu.com, you can learn English, practise English by talking to native English speakers around the world. Busuu has integrated an excellent keyboard control system, so you can go through the course and replay the sounds without using your mouse.